Winston Dookeran, who was acting prime minister during the 1990 attempted coup, said the US’ Delta Force and not the CIA, played a role in dealing with the attempted coup. 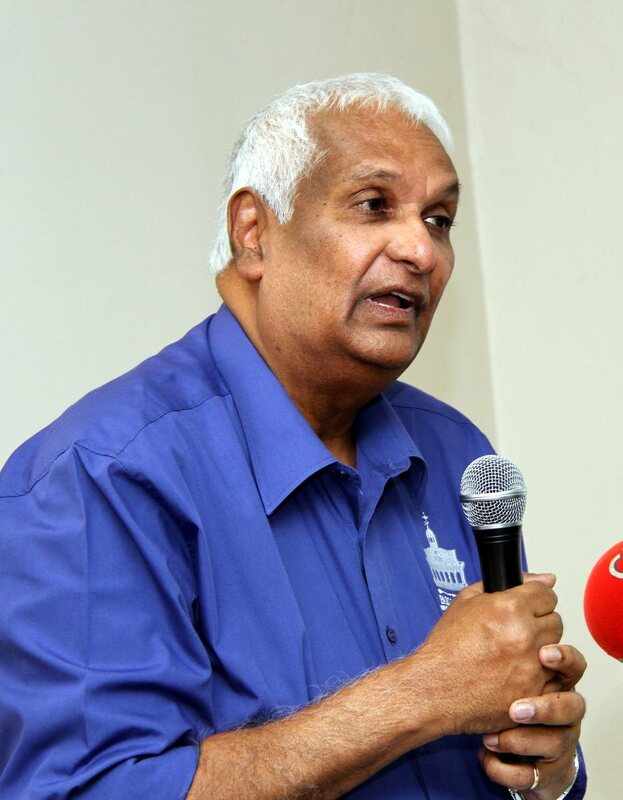 WINSTON Dookeran, former acting prime minister during the 1990 attempted coup, said the United States’ Central Intelligence Agency (CIA) was not in Trinidad to help resolve that crisis, but rather, help came from the US military’s Delta Force. His claim comes amid a wrangle between two former cabinet ministers over the issue of US assistance. Historian Prof Brinsley Samaroo, a former NAR minister, claimed a CIA team was in Trinidad amid rising tensions including the Venezuelan government’s fear that the Jamaat al Muslimeen’s takeover of Trinidad could let Libya use here as a base from which to launch an incursion into nearby Venezuela. Former attorney general Anthony Smart refuted Samaroo’s claim and said the then TT government resolved the crisis, not the CIA. Dookeran said there was US assistance, but not from the CIA. “There was no CIA involvement, no CIA presence as far as I was aware as acting prime minister. But we did invite some special support from the Delta group in Washington DC whose job was to advise on how you manage a hostage crisis. They did come here. They came and assisted and guided in the process of the hostage crisis. “They defined it not as a takeover problem, not as a coup problem but as a hostage problem. They were experts on this.” Dookeran said the Delta advisers did a tremendous job. “You know why we did invite them was because one of the alternatives facing us at one point was whether we would assault the Parliament. And at that point I asked the question to the relevant authorities, ‘what would be the maximum cost of life if that were to be done?’ The answer I got I did not like. They said it was 300. “At that point I said this country cannot, in my mind, withstand such a tragedy. Then I requested that we look for alternative ways to sort this problem out as fast as possible. This is where our own experts came back with the suggestion that we could have the expert group look at this thing and how to handle such a situation because we did not have such experience residing. Newsday asked if there had been fears of Venezuela invading TT to head off a Libyan foothold. “That’s all conjecture,” Dookeran replied. Former minister Joseph Toney, who was a hostage in the Red House, told Newsday, “I don’t know what took place among Cabinet ministers or with the CIA. But whoever engineered my release, I shall be eternally grateful.” Up to press time yesterday, the CIA had not replied to Newsday’s query sent via e-mail as to whether they had been involved in trying to resolve the attempted coup. Reply to "Dookeran: Not CIA, but Delta Force"